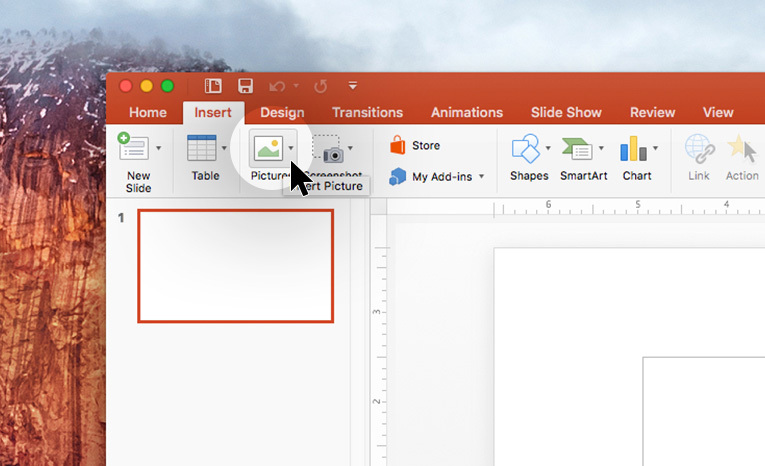 Whether you need to show a specific photo or you just want to add some visual interest to your PowerPoint presentation, you’ll need to know how to insert images. Select the slide where you want the image. On the ribbon menu, under “Insert,” click the Pictures icon. 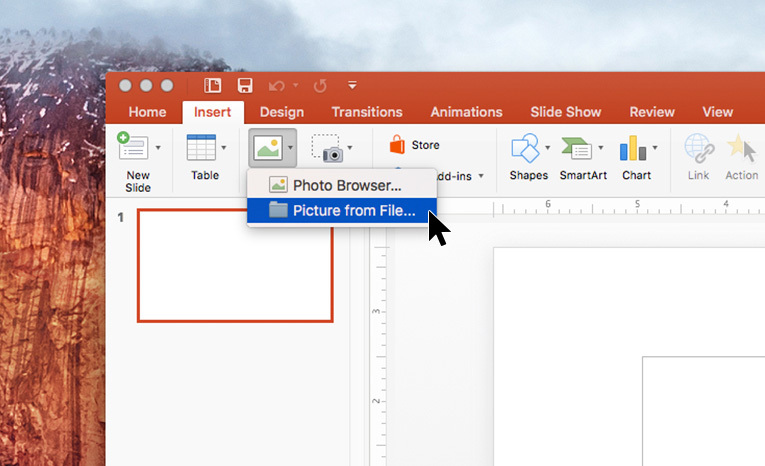 In the dropdown, select “Picture from File…” to use an image saved on your computer, or “Photo Browser…” to use a stock image. 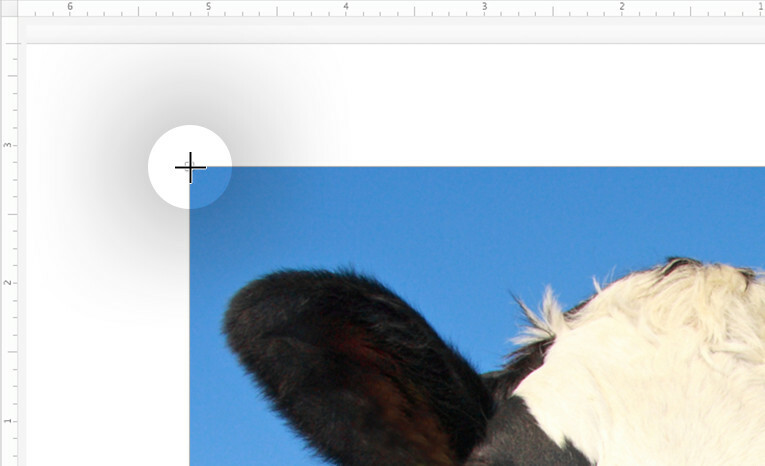 Find the image you want, then double-click it or click and drag it to your presentation. To move the image, click and drag it from the center. To resize the image, click and drag at the corners (NOT the sides – that will stretch the image). To rotate the image, click and drag the green dot above the image. Remember that less is more; avoid cluttering your presentation with too many images. Learn more with these 11 tips for your presentation’s structure and design.